Coconut oil experienced a surge in popularity in the past few years. After its success as a natural beauty hack, more and more reports about its health benefits raised it almost to a status of superfood. When Professor Karin Michels of Harvard compared this oil to “pure poison”, the Internet seemed to shake. Is coconut oil good for you or not, in end? The controversy: Is coconut oil good for you? What is the debate about saturated fats about? The answer: Is coconut oil good for you? Michels may have been a bit dramatic with her comparison, but her arguments are fully valid. According to the Harvard professor, none of the claimed benefits of coconut oil has been scientifically proven. To date, the only studies available are performed in animals, which means they might not translate into humans at all. Moreover, there is also the question of the saturated fats. The American Heart Association (AHA) has been recommending against the consumption of high amounts of saturated fats since the 70s and it continues to do so. On the base of this decision is the apparent relation between cultures with a high consumption of these fats and their high incidence of heart attacks. In the center of the question are the cholesterol levels and how saturated fats can increase them, thus increasing the risk of cardiovascular disease. The problem is that researchers could never find a proven link between the two. As an example, in a 2017 study, conducted approximately 40 years after the first indications that saturated fat could increase the risk of heart diseases, the researchers concluded polyunsaturated fatty acids work to lower these risks but the results for saturated fats were still inconclusive. The question – Is coconut oil good for you? – cannot be distanced for the debate regarding which one is the healthiest fat. The reason is that approximately 90% of this oil is, in fact, saturated fat. As a comparison, butter only contains about 66% of these fats. Right now, no one knows. The main point of discussion is coconut oil’s content of saturated fats and how these may affect negatively the heart. But this debate is still going on. As for the studies ascertain the benefits of the intake of coconut oil, Michels was right when she said there are virtually no studies confirming its effects. Moreover, this issue goes both ways. It is true that there aren’t any definitive studies performed with humans and confirming its benefits. However, researchers looking at its possible side-effects can’t seem to reach conclusive results either. You can keep using coconut oil as a key ingredient for your beauty hacks as most of its components have already been proven beneficial when applied topically. As for its intake, until a conclusion is reached regarding its safety, you might want to moderate your use of coconut oil. 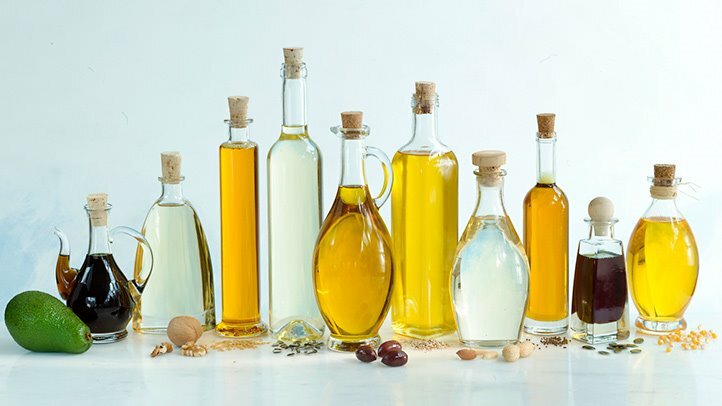 Oils are mainly composed of saturated, monounsaturated and polyunsaturated fats. The possible benefits or risks of the first are still under discussion, but the latter two have already presented clear proof of their potential. In a 2017 systematic review, the researchers concluded that replacing saturated fats with polyunsaturated resulted in a lower risk of coronary heart disease. Likewise, a 2018 study also shown that monounsaturated fats from plants can help to reduce this risk too. To choose a suitable substitute for coconut oil you should then weigh their content in fats. That being said, the one that is currently considered as the healthiest oil is the extra virgin olive oil. On average, it contains 75% of monounsaturated oil, 11 % of polyunsaturated and 14% saturated fats.